Star Wars Battlefront II has been bringing the hype recently with the reveal of new content based on Star Wars: The Clone Wars, just in time for the hit animated series' tenth anniversary. 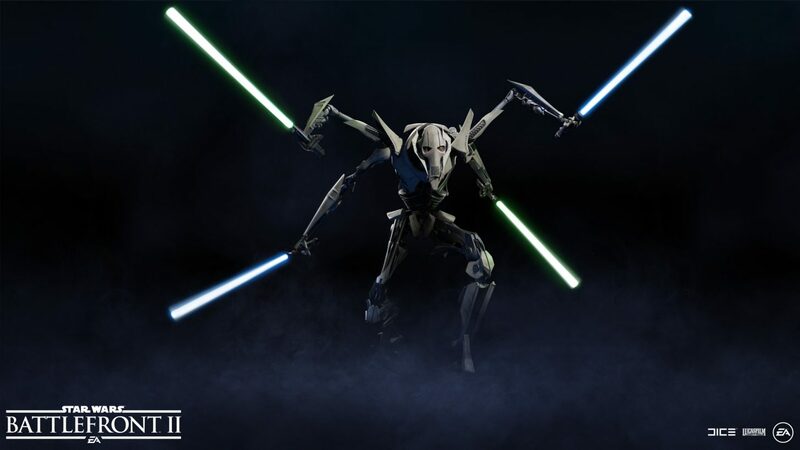 In doing so, EA has now revealed the first few images and details for General Grievous, who will be a playable character in an upcoming update. EA announced on their official site that Grievous will be one of the largest characters in size to be featured in Battlefront II. While fighting with only two of his Lightsabers for the majority of the time, the Droid General is able to ignite four Sabers for attacking and defensive moves. Grievous also features two big movies, the first being "Thrust Surge", which throws him forward with his sabers moving in a stabbing motion. This move is based on a move Grievous performed on Obi-Wan Kenobi in The Clone Wars. The second move is based on the iconic Lightsaber spinning move Grievous performs in Revenge Of The Sith(seen below). 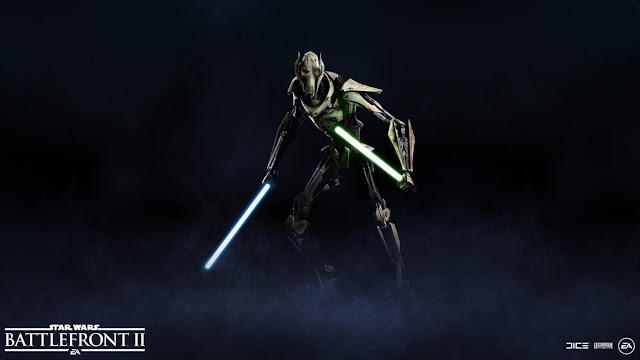 In addition, Grievous will also include a quick travel action which puts Grievous on all six of his limbs and gives him significantly greater speed to escape an undesirable situation. 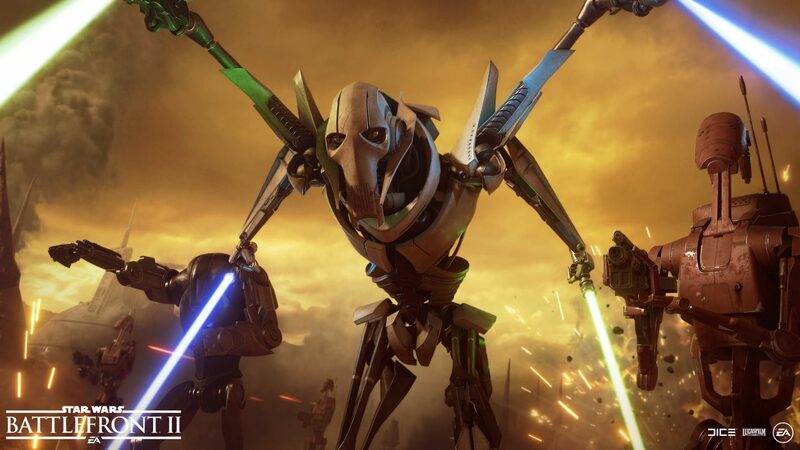 General Grievous will be unleashed onto the Battlefront alongside Obi-Wan Kenobi on October 30th. Count Dooku and Anakin Skywalker will also soon be added as playable characters, and all their original voice actors from The Clone Wars will be back to voice them. To learn more about Grievous and the many other Star Wars Battlefront II updates coming down the pipe from EA, be sure to check out the official EA Star Wars site!